I’m a fan of fairy tale retellings. From classics like Robin McKinley’s twists on folk tales, to Jackson Pearce’s updated versions of Hansel and Gretel, Red Riding Hood, or her forthcoming adaptation of The Little Mermaid, I never get tired of hearing a new spin on a fairy tale. Cinder has no memory of her life before being adopted. Whatever happened to her as a young child, she knows it was bad, because in order to survive, she had a computer operating system hard-wired into her body, and one foot and hand are now metal. When her adopted father suddenly dies of the plague that is slowly sweeping the world, she is left with her stepmother and stepsister, who are not especially nice and even blame her for his death. Luckily, she has is close to one of her stepsisters and also has a droid as a friend. Cinder works as a mechanic to support her family. Her cyborg status makes her a second-class citizen. The story opens with Prince Kai (in disguise, of course) stopping by her booth to see if she can fix his droid. Before she gets a chance to repair it, a sudden outbreak of the plague infects her sister and puts Cinder in a dangerous position. Her stepmother blames her for her sister catching the disease, and thus volunteers her for the dangerous vaccine experiments conducted by the palace research teams. She may be the only one in the world to be able to stop the plague and in the process, discovers secrets about her past. Before a cure is developed, Prince Kai’s father, the king, dies from the plague, prompting the Lunar Queen Levana to visit Earth. She intends to capitalize on the tragedy by forcing Kai to marry her to form an alliance, the first step in her plan to conquer Earth. Will Kai be able to maintain peace with the Lunar colony and resist Queen Levana’s influence? Will Cinder be able to fix his android? Will a cure be found for the deadly plague? And most importantly, will Cinder agree to go to the ball with Kai?! 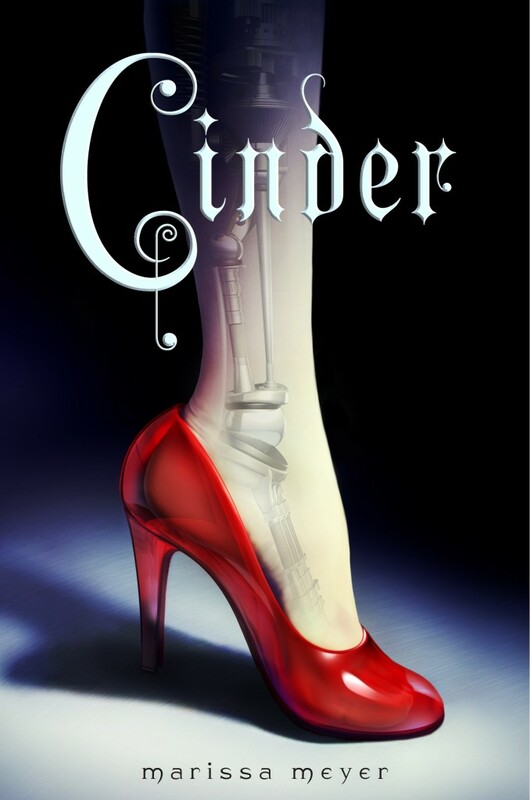 The plot is familiar, but the sci-fi setting more than make up for the predictable “twists.” Cinder was a character you wanted to cheer on, whether she was rushing to try and save her sister or risking her own safety for the Commonwealth. She’s strong, self-sacrificing, and smart. This novel is a great exploration of the nature of prejudice; both Lunars and cyborgs are feared and despised. Still, the story moves beyond this to the basic question of the essence of humanity. Do a few artifical parts or an evolved consciousness change what it means to be human? These themes made Cinder as thought-provoking as it was entertaining. The romance was subtle. Cinder’s shame over her cyborg parts forces her to keep Kai at a distance. Kai is persistent but not overbearing in his pursuit of Cinder. He’s a down-to-Earth guy who takes his royal responsibilities seriously. Rather than pushing into melodrama, the conflict was based on real hardships, rather than artificial angst. My only complaint was the cliff-hanger ending! I can’t wait to read more from Marissa Meyer. This was one of the most hyped debuts of 2012, and for me, it lived up to it. You can read a short story and prequel, “Glitches,” online here, and the second installment in the Lunar Chronicles, Scarlet, will be out next February! I recommend this to anyone who likes reimagined fairy tales or a blend of sci-fi and fantasy in their young adult fiction.